“Personal Information” means information associated with or used to identify a specific person. Your Personal Information includes: (1) contact data (such as your e-mail address, telephone number and employer); (2) demographic data (such as your gender, your date of birth and your zip code); and (3) certain Usage Data, such as the IP address from which you access the Services (as further discussed in Section 3.b. below) If you communicate with us by, for example, e-mail or letter, any information provided in such communication may be collected as Personal Information. d. Information Collected from our Mobile App: The Pebble Beach Resorts mobile app collects precise information about the geographic location of your device. If your device is equipped with GPS or can connect with wireless access points or hot spots, or if your device is also a phone that communicates with cell towers or satellites, then your device is able to use these features to determine its precise geographic location. If you have consented using your device’s user interface, the geographic location of your device will be transmitted to our servers in real time any time that the App is running (even if you are not actively using the App or it is minimized on your device). Once you set your device to transmit its location information to us, your device will continue to transmit its location information to us (when it is open) until you set your device to no longer do so. You may at any time opt-out from further allowing us to have access to your device’s location information by accessing the Application’s location settings on your device and setting your device not to share its location with us. If we believe you have or are violating our Terms of Service or in order to protect or defend Pebble Beach Company rights or property, even without a subpoena, warrant or other court order. If we learn that a minor has submitted information about himself/herself to us, we delete it as soon as possible. If you believe that we have collected Personal Information from a minor, please contact us at [email protected]. 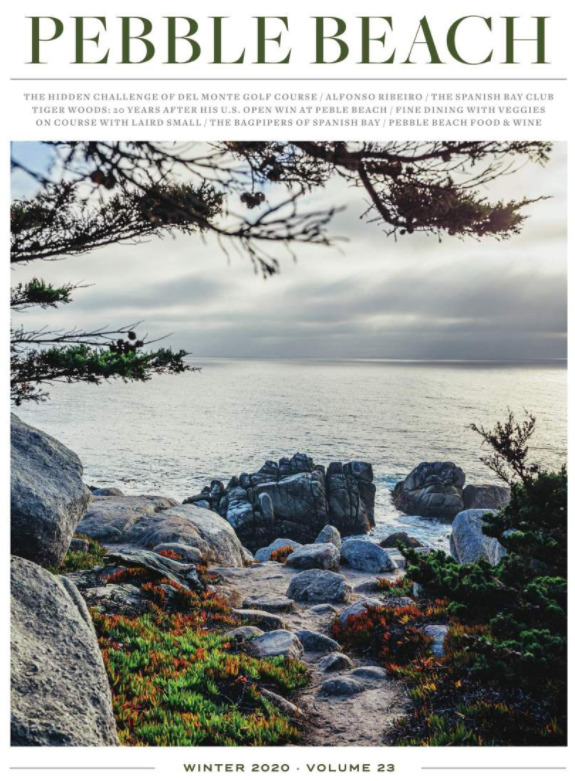 California Civil Code section 1798.83 law permits residents of California to opt-out of Pebble Beach Company disclosure of Personal Information to third parties for their direct marketing purposes. You may choose to opt-out of the sharing of your personal information with third parties for marketing purposes at any time by submitting a request in writing to our contact address below or by e-mailing us at [email protected]. We honor all such opt-out requests and it is our policy not to share personal information with third parties for direct marketing purposes where you have submitted such a request. Please note that this opt-out does not prohibit disclosure made for non-marketing purposes. For safety reasons, we use closed circuit television and other security measures at our properties that capture or record images of guests and visitors in public areas, along with other location information from keycards and other technologies. 3. Surveys: Completion of surveys is entirely voluntary. We process the information obtained from surveys based upon on your consent and in furtherance of our business interests, including marketing, service improvements, and analytics. 4. Social Media: Participation in Pebble Beach Resorts-sponsored social media activities and offerings is voluntary – we process information obtained from social media participation based on your consent and in furtherance of our related business interests, including for marketing, service improvements, and analytics and service personalization, as described in our Privacy Statement (above). 5. Direct Marketing and Promotions: We use your personal information to send you marketing messages and promotions on the basis of your consent. Submitting Requests: Your requests may be submitted in writing to [email protected], or the Pebble Beach Resorts Data Protection Office, P.O. Box 1767, Pebble Beach, CA, 93923 USA. We will respond to all such requests within 30 days of our receipt of the request, unless there are extenuating circumstances, in which event we may take up to 60 days to respond. We will inform you if we expect our response to take longer than 30 days. Please note, however, that certain personal information may be exempt from such rights pursuant to applicable data protection laws. In addition, we will not respond to any request unless we are able to appropriately verify the requester’s identity. We may charge you a reasonable fee for subsequent copies of data that you request. If you have concerns about our data practices or the exercise of your rights, you may contact Pebble Beach Resorts at [email protected]. International Data Transfers: We may transfer the personal information we collect about you pursuant to the purposes described in this Statement to countries that have been found by the European Commission to not provide adequate protection. We use appropriate safeguards for the transfer of personal information among our affiliates in various jurisdictions. To Opt out or obtain a copy of theses clauses or additional information on transfers, you may send your request to [email protected]. Pebble Beach Company would like to acknowledge the fine photographers who provided images for this website and digital marketing campaigns: Simone Anne Photography, Miller-Brown, Stan Badz, Tyler Boyer, Scott Campbell, Centioli Photography, Larissa Cleveland, @cheyenneirby, Sherman Chu, @cmg1025, Joann Dost, @dr_brown, The Edges Wed Photography, @edraderphotography, Feather & Stone, Jonathan Ferrey, Stephen Frapart, @gaugland, @gets_you_offroad, Getty Images, Jeff Gross, @gruvimages,The Henebrys, @jjdoyle7363, Corey John, Robert Kastigar, Bart Keagy, Fred Licht, Catherine Lin, David Duncan Livingston, Ian Martin, Kevin Merfeld, Kimmian Mcq, Meghan Meissner, @michelleshairsecret, Elizabeth Millay Photography, John Murphy, Carol Olivia, PGA TOUR Images, @redsrvs, Nikki Ryan Photography, Evan Schiller, Brandon Scott Photo, @siberianvolk, Ryan Chard Smith Photo, @stylewichliz, TGO, Patrick Tregenza, Peter Lockett, Randy Tunnell, Alexander Vertikoff, Ashleigh Henry, Wandering Acts of Photography, @xundertaker and Rachel Zee.